If you are looking for a new snack to replace those greasy potato chips or high calorie-no nutrition bar munchies...then look no further! These tasty little balls of delight will tantalize your taste buds and fulfill your dietary fiber and protein needs with ease! Not to mention they are SUPER easy to make. 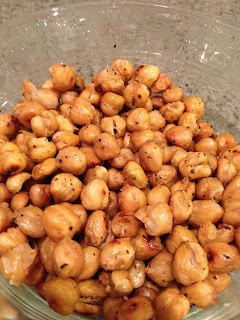 First, crack open a can (or two) of chickpeas, also known as garbanzo beans. 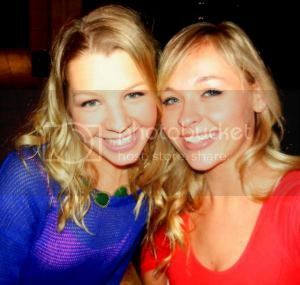 Throw them in a strainer and give them a good rinse in cool water. 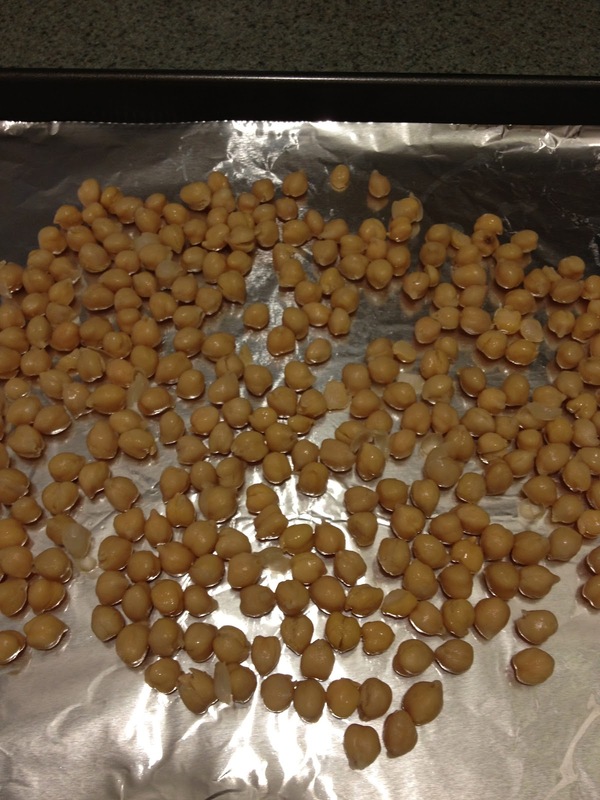 Spread them out on top of paper towel and pat them dry. 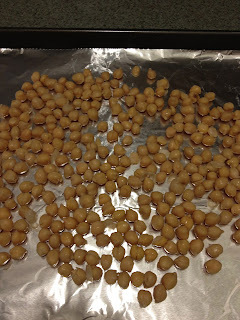 Next, line a baking sheet (unless you absolutely LOVE doing dishes -ew) with tin foil, and spread your chickpeas on top. 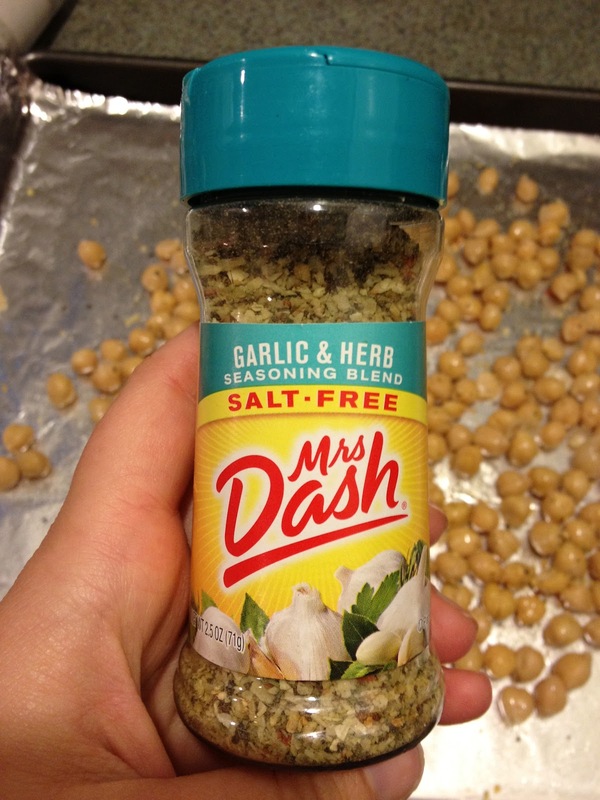 Using an olive oil spray (fewer cals than tossing them in olive oil!) 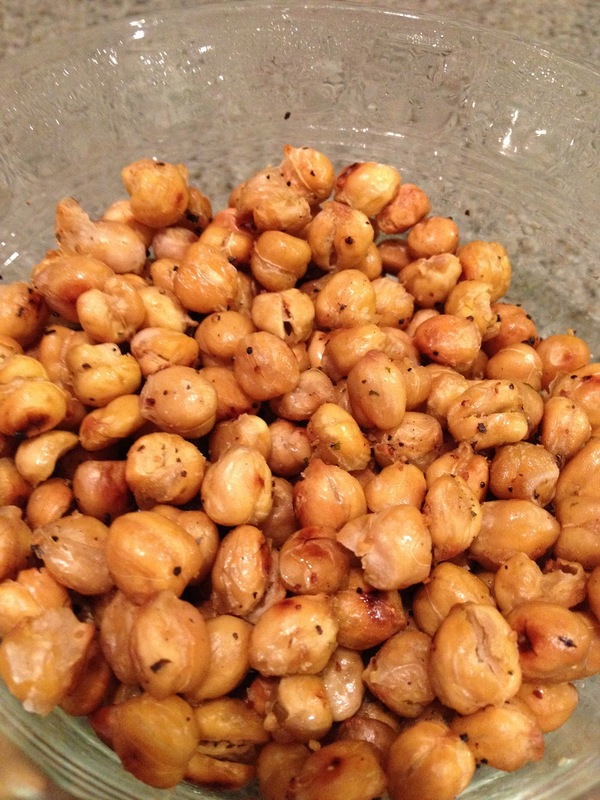 give your chickpeas a good spritz. After coating with the olive oil spray, I used Mrs. 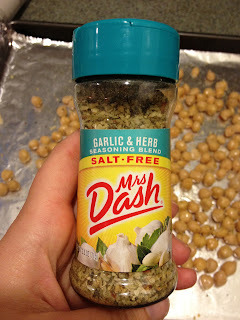 Dash salt free garlic & herb seasoning, as well as some sea salt. 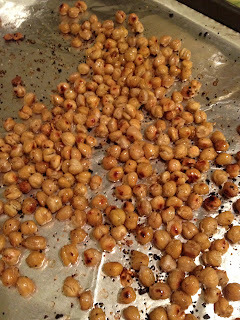 I sprinkled both over the top of the chickpeas. Bake at 400 degrees Fahrenheit for approximately 30 minutes, or until your chickpeas start looking a little crispy. Halfway through the 30 minutes, take out the tray and give it a good shake, just to ensure they crisp up all the way around. Enjoy them on their own as a snack, or even on top of a salad!